Developer FuRyu's SaGa-inspired JRPG The Legend of Legacy will feature a behind-the-scenes trading system acting in the background of its main combat and exploration mechanics. Through Siliconera, it has explained the simple idea behind boats that your three characters will be able to send out. 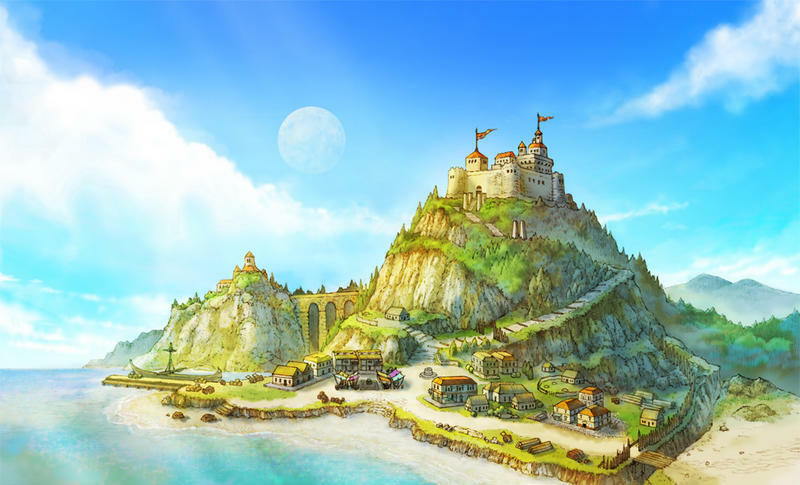 Taking part on an archipelago, The Legend of Legacy's setting obviously relies on trading with a mainland continent for support. Boats come in three sizes: small, medium and large, and naturally, coughing up more money lands you larger boats. These will take longer to return, but they have a higher chance of scoring valuable items, armor, and weapons for your party. Following in the success of Bravely Default's StreetPass-powered town building system, The Legend of Legacy's boats will also have a social feature which allows for trading when players walk by one another. Sounds excellent, because the behind-the-scene mechanics in Bravely Default always allowed you to feel like you were playing when you weren't playing, making it a much more complete experience. If Legend of Legacy can capture half of that feeling, it might end up being a solid RPG after all. No word on an American release date yet, but we are keeping our fingers crossed that someone talented like XSEED picks it up.